Think of me as the robin hood of`branding, (minus the green tights). Taking all the knowledge that makes the big brands millions of dollars & giving it to the entrepreneurs who are here to change the world. You're done with looking like a dishevelled mess online. It’s time to discover what your unique brand should look like! Unleash your Brand Soul Essence & be seen as the leader that you are. It only takes 3 seconds for someone to make up their mind about you! After 20 years branding the Big Brands in London, geeking out about colour and generally being design obsessed since I could hold a pencil, my passion now is teaching others how to look AMAZING online. I'm Kat , the London art director that has worked on some of the world’s biggest brands. Think of me as the robin hood of branding, (minus the green tights) taking all the knowledge that makes the big brands millions of dollars and giving it to the entrepreneurs who are here to change the world. 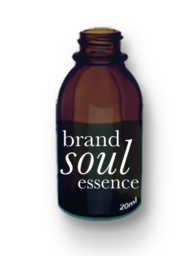 It’s time to unleash your Unique Brand Soul Essence & be seen as the leader that you are. In this short time you will either repel them or attract them into your world. it now gives me goosebumps inspiring entrepreneurs to confidently express their authentic selves so they can easily grow their businesses with people who are totally in tune with them. It’s so much fun! There’s no such thing as the perfect Instagram feed, however, getting your feed to clearly express your unique Business Essence is essential to becoming truly magnetic to people who love what you do! • Write Captions That Connect - Make People Stop And Take Notice Of You!